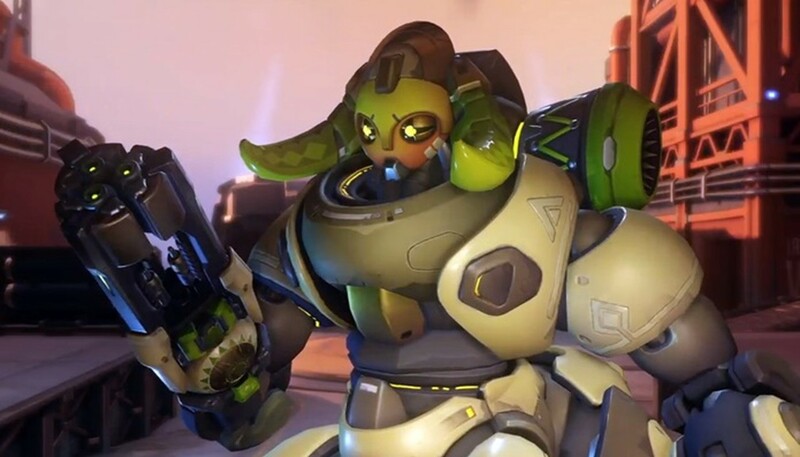 Blizzard Entertainment has introduced a brand new character for Overwatch called Orisa. With a tank style gameplay and good combination with heroes like Junkrat or Bastion, the character has an advantage when used with tactics that use her abilities in conjunction with those of other characters. 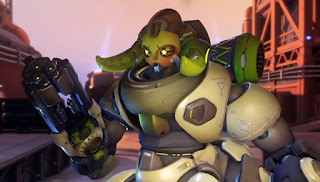 In this guide we will show you Orisa's main skills and how to play with the tank robot in Overwatch and with which characters and combinations are favorable to the character's game style. The standard weapon of Orisa is a projectile machine gun, which resembles that of Bastion. Medium range, the weapon also has a good firepower, besides being quite accurate. The shots follow a straight trajectory, and the equipment has moderate recoil, requiring little adjustment after the beginning of the action. Despite the features that make it better than the version used by D.Va, the Fusion Driver has a long reload time of 200 projectiles, an amount that can end quickly during battle. The secondary weapon consists of an energy item capable of pulling the opponents and withdrawing them from the original position. Unlike the supreme ability of Zarya, the graviton used by Orisa is not as powerful and allows for more strategic use during combat, due to the recovery time of only eight seconds. Halt is useful, for example, to throw players into abysses or lure them to a particular location, where the supreme skills of Junkrat or D.Va can do damage to several opponents at once. Operating similarly to others that already exist in Overwatch, Orisa's protective barrier stays in a fixed location for 20 seconds, allowing other players to shield behind her. The secondary weapon operates more or less like a grenade, with the projectile creating the barrier where it touches the ground. However, with only 900 energy points, the shield is weaker than those used by characters like Reinhardt or Symmetra. Still, it can be a good addition to a disadvantaged team, which guarantees a few seconds of invulnerability for regrouping or controlling a goal. Another Orisa's ability, the fortification command reduces by half the damage she undergoes, and makes her invulnerable to special attacks. When protected, it cannot be hacked by Shadow or pulled by Roadhog chains. However, the dwell time, lasts only four seconds, with another ten seconds needed to recharge. It is a good ability to be used if the player is poorly positioned and needs to quickly escape from the location. The supreme ability of the character is a skill basically linked to the team balance. With an operation similar to Mercy's energy rays, but operating from a fixed unit, it improves by 50% the attack power of all allies that are within a 25 m radius of the application. Like the character, the amplification unit has its own energy and only 200 HP points, and can be easily destroyed by opponents. If this does not happen, it grants 15 seconds of improved firepower to the allied team. The low movement and resistance of Orisa, in relation to the other tanks, does not make it a character for direct combat. Thus, ideally, the player knows how to navigate battles in order to avoid concentrated shots, and use her powers in combination with the abilities of other heroes to maximize damage to the opposing team. Despite being quite effective in attack missions, she shines during goal defense, especially when the player has a well-positioned shield and several allies around to use the Supercharger. An analysis of Orisa's powers lets her say she's a tank character, but with one foot in the support category. Most of your special powers work best if linked to the abilities of other characters. Therefore, choosing her should be a decision focused on the team and made according to the other available heroes. - D.Va: here are the same possibilities as Junkrat, with the Mecha of the character exploding exactly where the opponents are concentrated after a well done use of Holt! - Reinhardt and Winston: shield abilities can be combined to create an even stronger barrier in which offensive characters can protect themselves to fire at opponents. - Zenyatta and Mercy: In more critical situations, the attack amplification powers, along with life recovery, can be used if it is really necessary for Orisa to start the attack with her machine gun. - Soldier: 76 and McCree: Focusing on the attack by the flanks, the shooters can quickly destroy amplification units and lead Orisa out of fixed positions.